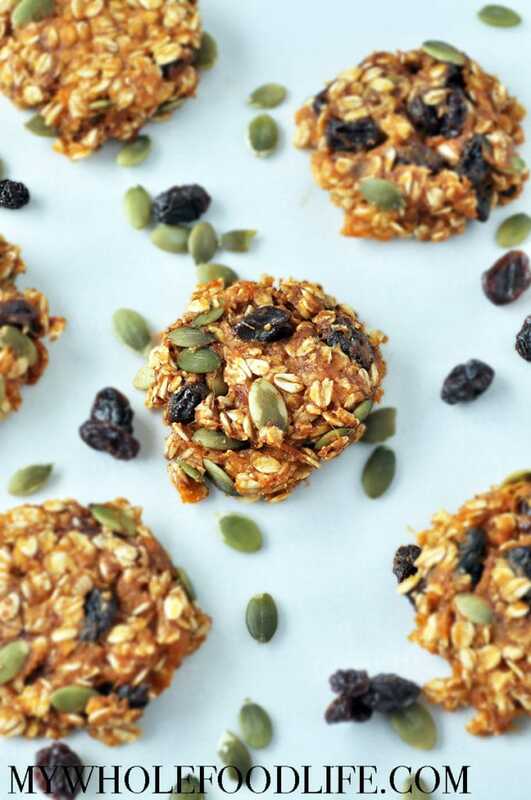 The other day I had some ripe bananas to use up so I created these Healthy Trail Mix Cookies. 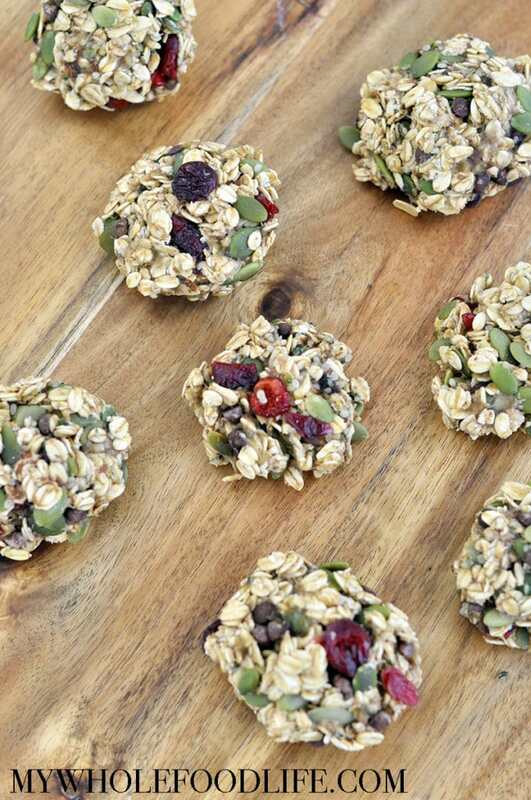 These cookies easy to make and they are filled with good for you ingredients! They also happen to be nut free IF YOU USE ANOTHER MILK so they are perfect for school lunchboxes. It’s like eating granola in cookie form. They would be great to take on hikes too. From start to finish, these cookies are done in under 25 minutes! Can’t beat that! In addition to being nut free, these healthy cookies are also vegan, gluten free and refined sugar free. Yay! They make the perfect afternoon snack. Another way to punch up the flavor in these cookies is to add a little cinnamon. I am definitely trying that with the next batch! Nothing says summer better than the flavors of lemon and coconut. 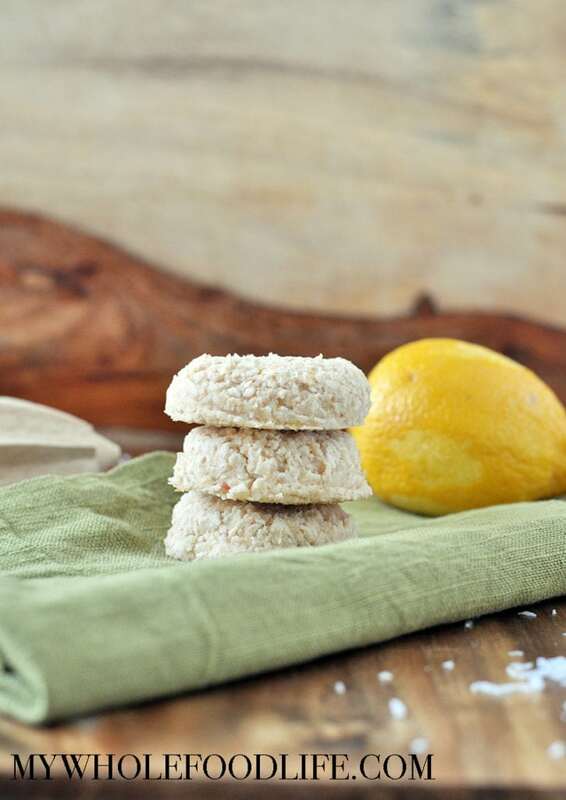 Those flavors are showcased in these Lemon Coconut Cookies. These Lemon Coconut Cookies are a super cinch to make. They also happen to be gluten free, grain free, nut free, and vegan! I could live on sweet potatoes. They are so versatile. So today I am sharing these Sweet Potato Breakfast Cookies with you. I have used sweet potatoes in both sweet and savory recipes. Sometimes I keep it simple and just do a baked stuffed sweet potato. That’s actually one of my most favorite meals. You can also use butternut squash or pumpkin in place of sweet potato. Crispy cereal reminds me of my childhood. I have made rice crispy treats so many times as a child. 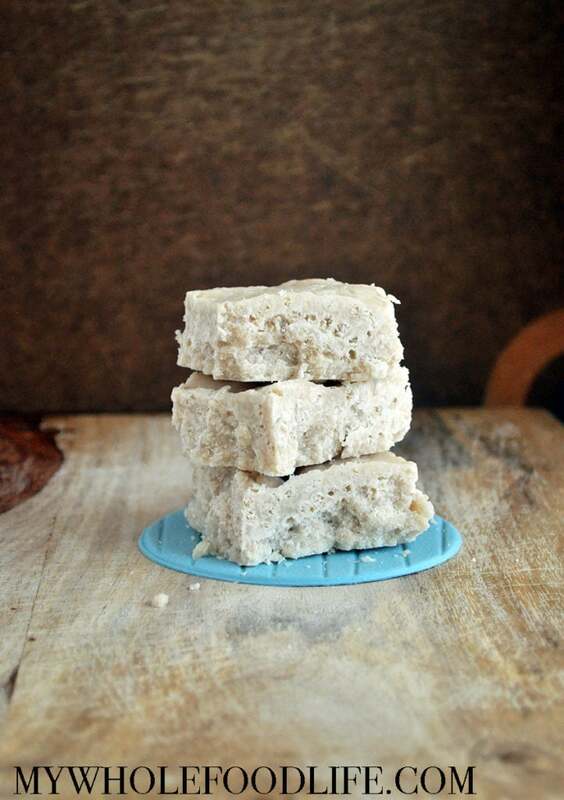 These Coconut Crispy Bars are a different spin on them. If you are a lover of all things coconut, you will love these! If you would rather see a chocolate version, you can check out this recipe. 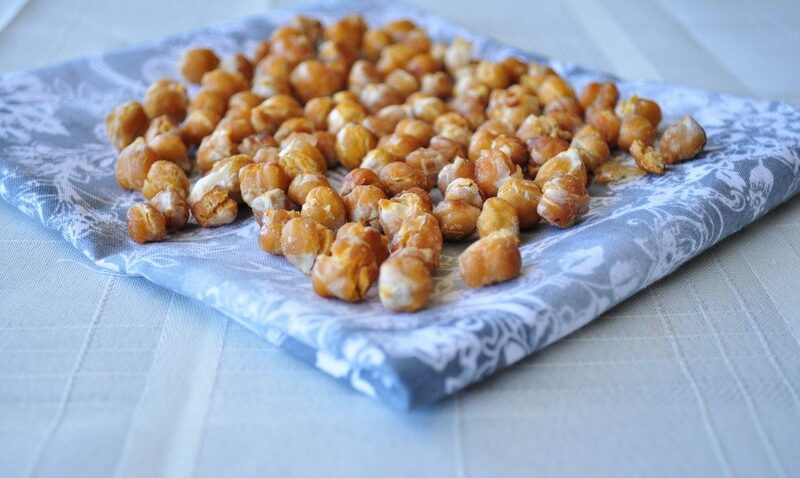 These would make the perfect treat for school lunchboxes since they are nut free. I used brown rice crispy cereal with no added sugar for these, but really, any rice crispy cereal will work. This recipe also may be yummy with a chocolate rice crispy cereal. This recipe is great because you get a delicious coconut flavor, with hints of vanilla, and the crispy crunch to finish it off. If you love the coconut vanilla combo, you may also like my coconut vanilla overnight oats. I have a new snack idea for you today. This one is No Bake Oat Bars. For this recipe, I was inspired by my homemade nutri-grain bars. I wanted to make a similar recipe that requires less work and ingredients. 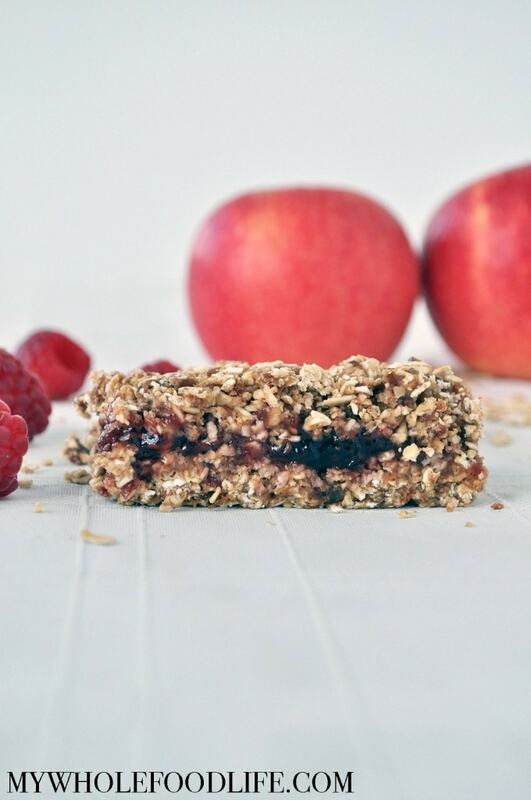 This easy oat bar recipe only call for a few simple ingredients. I love that. So you probably have the ingredients to make them already. You can use whatever flavor jam you like. This recipe is also nut free. If you like fruit bars, you may also like my blueberry oat bars. In addition to being nut free, these bars are also oil free, vegan and gluten free. You can make them up in minutes. They also freeze well, so make a big batch if you like.